June | 2016 | Home: Free Sociology! Rent redux: now with comparative anecdotes! I guess just I find this analysis and the chart it’s based on hard to believe. I make about 57k a year and renting a ROOM in a crappy, old, noisy 2-bedroom apartment in Vancouver costs me near 50% of my take-home after-tax pay. I straight-up couldn’t afford a one-bedroom or even a room in a place built in the last 20 years. And it took two months of solid searching to luck out on this place… everywhere you go, potential renters are already lined up with forms and references in hand (as was I) and were attempting to out-bid the asking price and each other (something I couldn’t afford to do). Maybe things are different for long-time tenants, whose prices fall under controlled increases, but for someone looking to enter a Vancouver rental anew, I found the crap-apartment prices to be on par with mortgage + strata payments for a better condo – something I’m debating doing if I stay in the city, although both options still seem far too expensive. Thanks B Danyluk! Let me first reiterate my sympathy. Just because it might be better for renters in Vancouver than elsewhere across North America doesn’t mean it’s easy. And I’m entirely in support of efforts to improve the plight of local renters. Also, as I’ve noted before, I really appreciate these kind of comments based on real experiences. Anecdotes can be very useful. What’s it like for a couple of new renters of decent means to look for an apartment in New York City? Sneak-preview: it ends with a one bedroom for $3,150 in Brooklyn. What’s going on with rents across Silicon Valley? What kind of rents would drive young Google employees toward activism on behalf of new rent control ordinances? Markets don’t self-correct with everyone’s housing needs in mind, especially under circumstances of widening income inequality, and there’s also nothing singular about how they operate within cities. As a result, and as reflected by B Danyluk’s comment, overall market summaries sometimes obscure the many little corners where people get left behind. Of note, the NYTimes piece also provides a nice reference to this old 2013 study from the Joint Center for Housing Studies of Harvard University. And I’ll stop here before I depress myself with all the reading I need to catch up on. On the bright side, it’s all interesting stuff. And if misery loves company, there’s pretty good evidence there are folks out there at least as miserable with their housing as what you can find in Vancouver. As I noted yesterday, Vancouver really doesn’t look so unaffordable in comparative context if we use “renting a two bedroom apartment” as our base standard rather than “purchasing a single-family detached house.” Standards really matter, and the single-family detached house is a bad metric in this case – especially for a metropolis that is gradually moving toward a more sustainable alternative that might ultimately serve as an example for the rest of North America. But I had some lingering concerns about the comparability of the data I used, especially for getting at median rents. To get at rents across the USA I used data from Zillow, which as I mentioned is not an entirely disinterested data provider and also gathers data based upon listings. This provides a nice snapshot of current conditions for prospective renters, but may dramatically overstate the rents for existing renters, who are often protected by contracts, rent controls (in some places), and relatively inattentive or otherwise satisfied landlord relationships. To get at rents across Canada, I used the CMHC’s primary rental market measure, which suffers from its own biases and is based largely on surveys of purpose-built rental building managers. I wanted to check on my results by looking at something at data that might be a little more readily comparable, so I went back to census figures, drawn from microdata samples of the Canadian Census in 2011 and the American Community Survey (ACS) from the same year. I analyzed the data on-line using CHASS (unfortunately a subscription-based census analysis service I can reach through UBC) and IPUMS (a wonderful organization at the Minnesota Population Center, where I used to be a post-doc – anyone can get access to this data so long as you promise to use it for good and never for evil, which is an actual box they make you tick in your application). I obtained median rents for renters of two bedroom apartments in 2011, then I went back and compared these to the same median income figures for Households (from 2012, close enough!) [updated for better CMHC median household pre-tax total income figures] that I used in my last post. On the whole, I’d call this similar information to what I produced yesterday, but there are some important differences. When we look at estimates based on all existing renters (including public & private rentals) rather than listings, there is a LOT more compression in the median rents, which don’t jump around nearly as much as the rents charged for new listings on the market. But Vancouver hasn’t changed positions much in this chart relative to its position (in 2011) in the Zillow/CMHC-based longitudinal chart. LA, Miami, San Francisco, San Diego, and NYC all remain at the top in terms of the unaffordability of 2BR rentals. Other metros, including Seattle and Portland, look cheaper in this chart. But it’s worth noting that many of these cities also looked cheaper in 2011 in the old chart too, which only moved many of them ahead of Vancouver based on more recent data. My big takeaway: more data provides a better overall comparison, but still gives us the same basic story about Vancouver’s unaffordability crisis. Using metrics beyond ownership of a single-family detached house makes us look much more affordable in a comparative sense. Every year (since 2005), the Demographia organization (think tank? consulting front?) comes out with its International Housing Affordability Survey, and every year Vancouver is ranked the most unaffordable housing market in North America (currently the third most unaffordable in the world! – or at least across the selection of countries compiled by Demographia). The results always make headlines in Vancouver, though sometimes a healthy dose of skepticism is applied. Regardless, I don’t think there’s a big problem with Demographia’s data. But I DO think there’s a problem with the standard they use to generate their findings. That standard, of course, is the single-family house. Demographia uses the ratio of the median price of single-family detached houses to the median household income to create a “median multiple” measure of affordability. In their most recent study, the median cost of a single-family detached house ranged from 2.6 times median household income (in Buffalo, NY*) to 19.0 times the median household income (in Hong Kong). Metro Vancouver came in as the third most unaffordable, after Hong Kong and Sydney, with a median multiple of 10.8. But what if we didn’t use ownership of a single-family house as the measure of what’s affordable? After all, why should this be the standard? To be clear, it’s not the standard for everyone, and it never has been. Poor people aren’t really part of the discussion for Demographia’s report, where the subtitle explicitly notes a focus on “middle-income” folks. The subtext for using the single-family house as a standard is that this is where middle class people should be able to live and what they should be able to afford. But as I discuss in my forthcoming book, The Death and Life of the Single-Family House, this is both unjust and generally a wrong-headed idea. 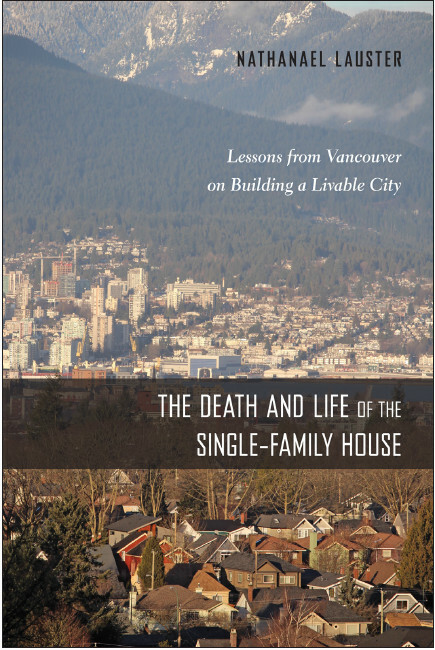 Single-family detached houses are kind of bad for our cities, our lifestyles, and our planet. But doesn’t this all trickle down? The degree to which the middle class can’t afford single-family houses – a normative life goal! – must indicate pain for everyone, right? Let’s see by looking at a different possible standard: the two bedroom apartment. What if we divided the median yearly rent of a two bedroom apartment by median household income? Changing the standard really changes the picture! By this measure New York City, San Francisco, Los Angeles, and Miami all look like they’re converging at an exceptionally high rent-to-income ratio! By contrast, Vancouver is suddenly far, far down on the list of unaffordable metro areas, as of 2015 below both Seattle and Portland, its American sisters to the South. To be sure Vancouver remains the most expensive metropolitan area in Canada, but this just highlights the very different situations facing renters in Canada and the USA (or at the very least, different measurement issues: see more below). To return to the theme: on the whole, different standards produce very different results. The most unaffordable metro area in North America using the “ownership of a single-family house” standard suddenly looks pretty average under the “rent a 2BR apartment” standard. The house standard makes San Francisco (3rd), NYC (7th), LA (5th), and Miami (8th) all look more accessible than Vancouver, but the 2BR rental standard leaves a decent lifestyle looking much, much farther out of reach in these locales. In fact, under the 2BR rental standard, unaffordability for Metro Vancouver looks even better than the situation for Metro Dallas or Metro Houston, each deemed perfectly affordable by Demographia’s house standard. It’s no wonder we’re not really seeing the flight of the millennials from Vancouver. The rent’s not too bad. None of this is to suggest that Vancouver doesn’t have issues with affordability. It most certainly does. And renters also face a very tight market, with extraordinarily low vacancy rates (0.8% in 2015!) But Vancouver looks much better when we use a 2BR rental standard than when we use an owner-occupied single-family detached house standard. Once again, this speaks to the detachability of the detached house market in Vancouver from what’s going on elsewhere. Why? Well, Vancouver is moving away from the single-family detached house as a standard and toward a different model – potentially a much better, more urban and more sustainable model. To be sure, it still has a long way to go, and all sorts of crazy things will keep happening in the single-family house market along the way. But the story of Vancouver, overall, is less about a painful housing market destroying EVERYONE’S hopes and dreams and more about providing an alternative model for how we should build cities and encourage people to live. Not everyone is going to like that new model, and we should keep tinkering with it to make it more just and more sustainable. But there are good reasons we shouldn’t be using the single-family detached house as a metric of where we want to be. It’s a dead end. When we use different metrics, Vancouver looks better and can keep improving. Now where did my data come from and should you believe it? As noted on the chart, for US metro areas, I drew upon median rental data for 2BR apartments available from Zillow a not entirely disinterested commercial provider. For Canadian metro areas, my rental data came from the CMHC. Here I used averages because I could easily find this data for multiple cities. Using medians would actually make Canadian cities look even more affordable compared to their US counterparts, since median rents tend to be lower than average (see Metro Vancouver’s posting of median rents in the area). For median household incomes, I drew upon Census reports in the US and Statistics Canada data (in this case bringing together economic families and people not in economic families to more or less equate with households, though this may (?) result in understating the household incomes of unrelated roommates) [*update: the link broke on the StatsCan data, so I’m now using CMHC data, for real median pre-tax household income, and have updated the chart accordingly – this actually improves Vancouver and other Canadian cities affordability. Thanks for note from Jens at Mountain Math for making me check this!*]. Census and Stats Can data is pretty solid, but I cannot fully vouch for comparability of the data from Zillow or the CMHC. In the former case, it’s because the data is proprietary, though it seems modeled mostly based on listings. In the latter case, it’s because of the restrictions placed on where the rental data comes from (“privately initiated apartment structures with at least three rental units”), an artifact of CMHC’s attempts to keep tabs on the primary rental market (see also their secondary market data, which includes rented condo units, but doesn’t distinguish by rooms in this time series).